Our Company was founded in 1988 from a small shop in TOKO TIGA, we moved to current location in MANGGA DUA since 1992. Starting from one brand “BROTHER” Industrial Sewing Machine, we have expanded to more than 10 brands of sewing machine in apparel, footwear and industrial application. We believe in growing together with our clients to achieve win-win solution as one partnership. As partnership, we also believe in providing excellent after-sales and spare part service. With our specialized team of sales consultants, we provide clients with complete solution, starting from Cutting, then Sewing and finally Finishing Process. We work closely with out clients, to ensure that clients can achieve high profitability in their business with best productivity, efficiency, and quality. 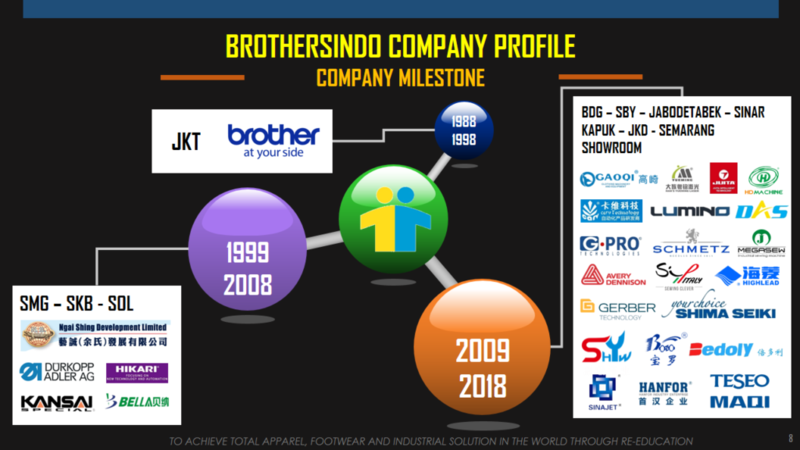 With headquarter in Jakarta Indonesia, Brothersindo provides one-stop apparel solutions to garment (Cutting, Sewing and Finishing Department) and shoes/leather manufacturers in Indonesia. We aim to assist customers in achieving higher efficiency by providing production and technical know-how. We have a team of professionals with wealth of experience, our technical team have been fully trained with sales team. 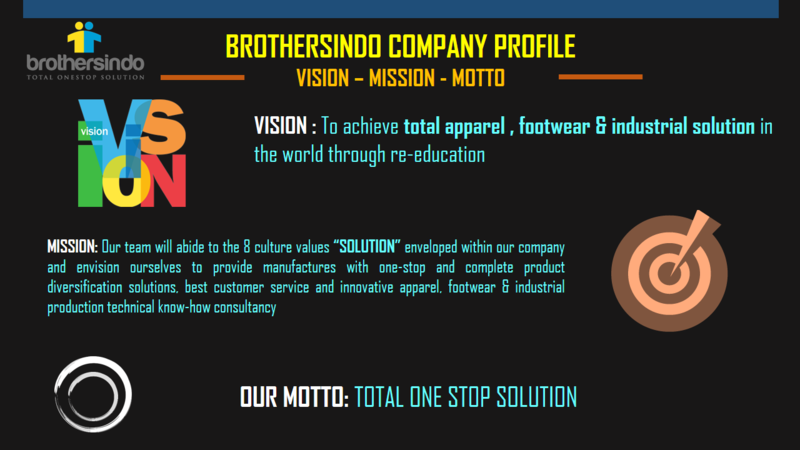 With in-depth industry knowledge and support from top of line principals, Brothersindo is the industry leader in the apparel field as it strives to stimulate growth and innovation.